An extremely smooth, creamy pint created from a perfect combination of traditional and modern brewing techniques. 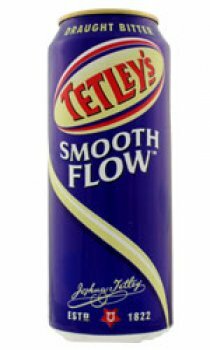 With a nutty roasted full-bodied flavour, classic hop aroma and crisp bitterness on the palate, Tetley's Smoothflow is smoother and creamier than traditional ales. It is served at 8C, which is 4C cooler than traditional ales in order to give extra refreshment.